Stay in touch with the latest happenings at Greater Cincinnati Foundation. 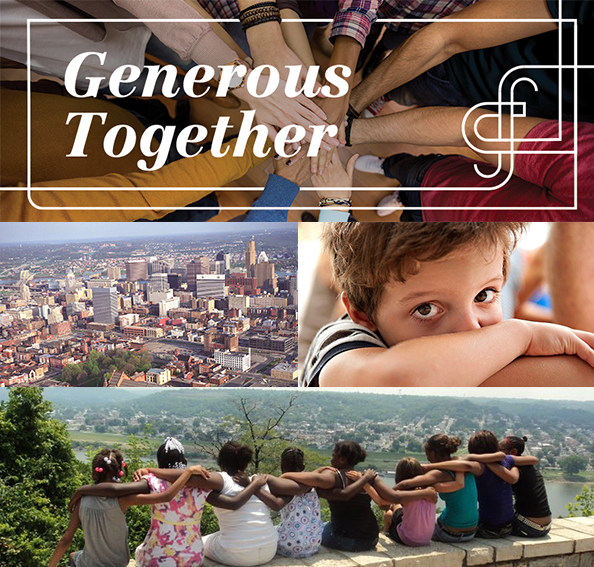 The Greater Cincinnati Foundation helps people make the most of their giving to build a better community. We believe in the power of philanthropy to change the lives of people and communities. Learn more about us. Greater Cincinnati Foundation (GCF) is committed to bringing people in our community together to learn about racial equity through conversations that foster understanding and move us forward in impactful ways. Greater Cincinnati Foundation (GCF) is committed to conversations about racial equity that build connections and move us forward with enhanced insights and shared purpose. To help advance that imperative goal, GCF will offer a series of community-wide equity education events, conducted by the Racial Equity Institute (REI), to focus on understanding and addressing the root causes of racism. Driving impact with our investments that measurably improves our world is a strong objective for many of us, but it can also feel like a daunting goal. There’s also the perception that a choice must be made between doing good and doing well — between philanthropy and investment. The growing revolution of social impact investing is countering that viewpoint rather dramatically, and it’s being driven in part by the increasing financial power of women and millennial investors. For four dazzling nights in 2017, more than a million people from our region came together for BLINK®. We soaked up the brilliant, visual extravaganza that shimmered across more than 20 of Cincinnati’s urban blocks. It wasn’t just a static display. The shared moment of art and light was integral to its phenomenal appeal. "A Conversation With … Soledad O’Brien"
The Women’s Fund of Greater Cincinnati Foundation created its signature event “A Conversation With …” in 2012 as a forum for a female history maker to share her journey, including triumphs and obstacles, in an intimate setting. Those history makers, in previous years, have included Dr. Mae Jemison, Abby Wambach, Cokie Roberts, Lisa Ling, U.S. Senator Olympia Snowe, Phyllis S. Sewell and Marian Spencer. Robert Killins Jr., Greater Cincinnati Foundation’s Director, Special Initiatives, is a native of Oakdale, LA, and has a bachelor’s degree in French from Grambling State University. He and his wife, parents of two daughters and a son, live in the West End. Strategic collaboration strengthens results, as proven by a recent federal grant awarded to the Northern Kentucky Tri-County Economic Development Corporation’s Entrepreneurship Council (NKYEC). Challenges of day-to-day living, at times, can feel like performing a high-wire act without a net. 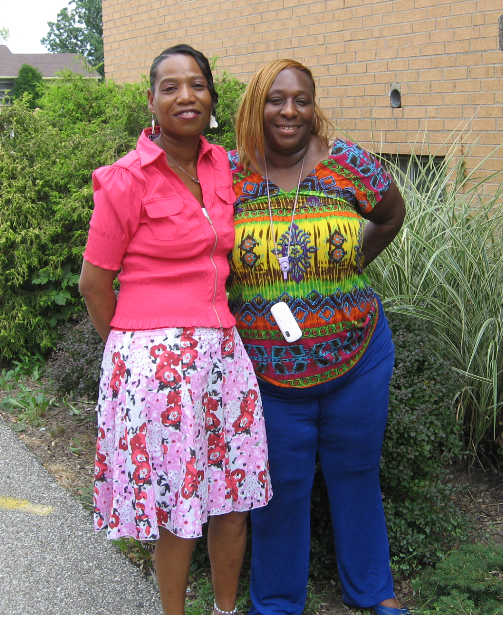 Greater Cincinnati Foundation’s (GCF) annual Providing a Safety Net grants provide a cushion to our neighbors experiencing difficult circumstances, helping them to regain their balance and move forward. Chief Financial Officer Will Woodward is a two-time graduate of Miami University, with a bachelor’s degree in accounting and an MBA in finance. A Cincinnati native, he lives in Loveland with his wife and three young children. After a competitive application process, the Scripps Howard Foundation has announced the 10 local nonprofits that have been named semi-finalists for a $100,000 grant to support childhood literacy initiatives in impoverished neighborhoods within the tri-state. In December, Greater Cincinnati Foundation (GCF) hosted the release of Giving Black: Cincinnati, A Legacy of Black Resistance and Stewardship. The often-overlooked history of black philanthropy is an integral thread in the fabric of American generosity. African Americans created and established their own social services, educational programs and charitable organizations when they were excluded from mainstream participation. Greater Cincinnati Foundation (GCF) awarded funding to support the educational success of children, youth and young adults across our region. 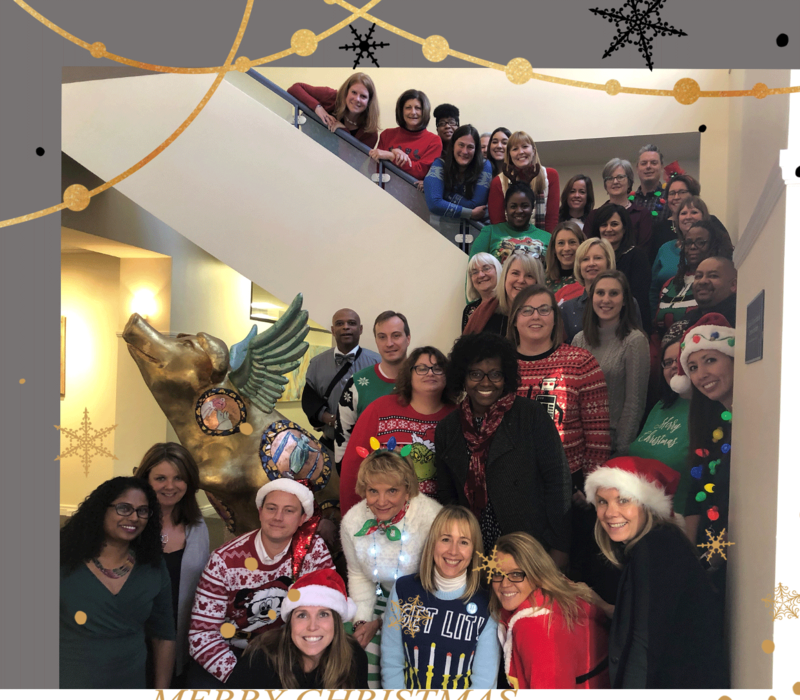 As you enjoy your favorite holiday meals, pastimes and customs, Greater Cincinnati Foundation staff members share a few of our own festive rituals — from the reverent to the ridiculous, the sentimental to the sassy — which add delight to the season. Formally, he was John Tharp Lawrence III. In life, “Tad” was anything but formal. At Greater Cincinnati Foundation we salute his well-lived life as we mourn his passing this month and extend our heartfelt condolences to his cherished family and numerous friends. He knew everyone, it seemed, and everyone knew him. Greater Cincinnati Foundation’s 55th year has been one of focused energy, purpose and forward movement. We are grateful for everyone who has joined us this year in the vital work of creating a Greater Cincinnati where everyone has the opportunity to thrive. The Scripps Howard Foundation, Greater Cincinnati Foundation and WCPO 9 On Your Side are continuing their shared efforts to address the cycle of poverty through literacy. The organizations will again leverage resources to provide a $100,000 grant to a nonprofit that supports family literacy in underserved neighborhoods in Greater Cincinnati. Greater Cincinnati Foundation (GCF) invites you to join us as we release the report Giving Black: Cincinnati on Thursday, December 6, from 3:30 to 6:30 p.m. at the National Underground Railroad Freedom Center. The report, co-funded by the W.K. Kellogg Foundation and New England Blacks in Philanthropy, is the result of research we commissioned in 2017 to explore the generous, often overlooked history of black philanthropy in our region and identify the giving priorities of our black residents today. A place to call home. It’s a simple dream, but one that for all too many of our neighbors is a financial hardship. Affordable housing is a critical issue in our region, and Greater Cincinnati Foundation (GCF) is committed to addressing it as we move into 2019 and beyond. Looking ahead to 2019? As you make year-end contributions to your donor advised fund, keep in mind the following opportunities for impact that will be available in the first half of 2019 through Greater Cincinnati Foundation . As the remaining days of 2018 dwindle, our to-do lists seem to grow exponentially with flurries of seasonal tasks and activities. It’s important to make sure that year-end planning doesn’t get lost in the rush, and Greater Cincinnati Foundation (GCF) is here to help keep your charitable giving on track. GCF recognizes that the strength of our communities lies in harnessing the wisdom within all neighborhoods to drive equitable, sustainable change. This fall we awarded Strengthening Communities Through Organizing and Advocacy grants totaling $159,199 to seven visionary nonprofit organizations. While we did not receive co-investment dollars for these grants, we strongly believe that such work is integral to achieving an equitable future for our region. As the leaves turn — and nightfall arrives earlier, with a cooler edge — our focus shifts to planning for the upcoming holiday season. While marking your calendar with all the events the season brings, you may also want to consider your strategy for year-end giving opportunities before the festive rush is upon us.